If you think your schedule was packed in 2016, compare it with Kerry Kalweit’s: she accepted awards, traveled to several different countries, managed a nonprofit, kept up with the world of diabetes advocacy, and climbed at least one mountain…all while studying to be an endocrinologist to one day treat others with diabetes. 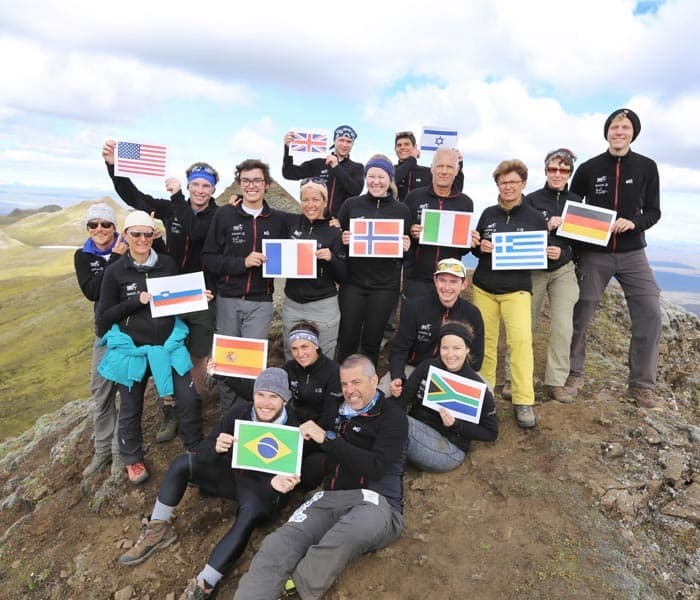 Among Kerry’s many adventures was the 2016 Sanofi Type 1 Diabetes Youth Challenge, a 5-day climb up the Hekla Volcano in Iceland. A camera crew documented the team made up of 12 people with type 1 diabetes, plus five healthcare professionals and two guides. For the past several years, Sanofi and its partners, SWEET e.V. and World Diabetes Tour have led groups on climbs of Mt. Kilimanjaro, Macchu Picchu, and other extreme and exotic locations around the globe. Have questions? I did, too. In addition to writing about her trip to Iceland for South Africa’s Diabetes Lifestyle magazine, Kerry also took the time to give us a look into the Challenge and provide some tips. Kerry’s answers are inspiring, as you might expect from someone who has lived with type 1 for 12+ years and who is an IDF Young Leader in Diabetes, where I met Kerry. She is another incredible woman in the type 1 community who inspires me! PROCEED WITH CAUTION: Scrolling down may lead to you overloading the Internet with searches for ways to incorporate more adventure into your plans for 2017. 2016 started off as a busy year for you! When you weren’t studying and working on diabetes advocacy in South Africa, you traveled quite a bit: a year ago, you had departed the 2015 World Diabetes Congress and Young Leaders in Diabetes Training (YLD) in Vancouver, babysat in the Alps over the New Year, and then you prepared to travel to Hawaii, where you were named a 2015 Bakken Invitation Honoree, all months before embarking on the World Diabetes Tour. What did I miss? 2016 was an incredibly busy year for me. I also finished my masters in clinical epidemiology, I managed a project that focused on a new management technique for people with type 2 diabetes, I started studying medicine, and I ran four diabetes camps in South Africa. How many countries have you been to so far? What’s your favorite one? I’ve been to 22 countries around the world. I’m very biased when it comes to my favourite, because it’s obviously my home country, South Africa. We have a very rich, diverse culture with 11 official languages. Our country mimics its people: it’s stunningly beautiful with a large variety of biodiversity. But if I had to choose, I would say that Italy has been my favorite place to visit abroad so far. The history and architecture were fascinating, and the gelato is to die for. What made you want to get involved in diabetes advocacy at home? I have served as the general manager for a non-profit organization called Youth With Diabetes (YWD) since 2010. Our objectives are to host educational diabetes camps across the country, generate and distribute diabetes educational material, and raise general awareness levels about diabetes, particularly in schools. In 2014, I worked at a camp in Nelspruit [in northeastern South Africa], helping children from rural areas. A young boy, aged 12, was upset by how often we were testing his blood glucose levels (at camp we test before all meal times, snacks, bedtime and at 2am to make sure everyone is safe and to avoid hypos). He explained to me that he didn’t own a blood glucose machine and that he would only test his sugar once every three months when he came to the clinic to collect his medication. I was mortified. He had been on insulin for more than 2 years already. I realized that even though South Africa is fortunate in that our government pays for insulin, we still have a very long way to go until access to home blood glucose monitoring and diabetes education are equitable. This experience really inspired me to become a voice for those living with diabetes in South Africa. Your graduate studies and volunteer work alone would make it tough for to fit so much into one year. 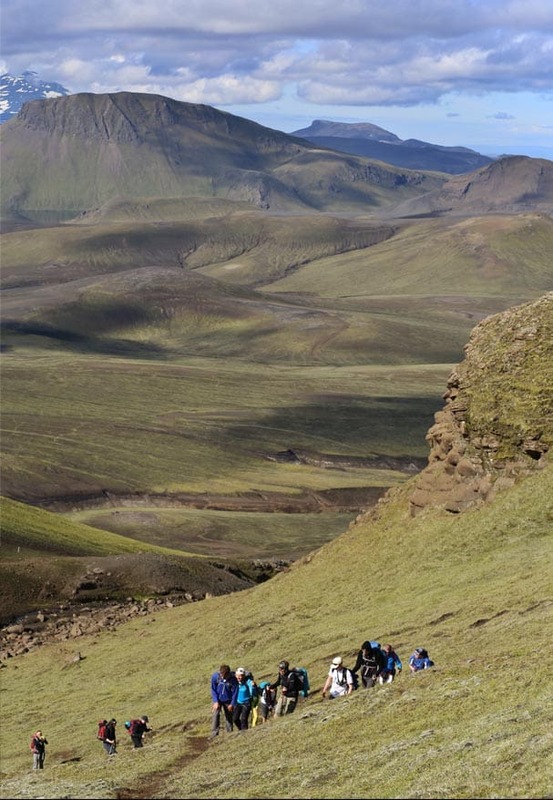 With such a busy schedule, how did you end up on a mountain climbing expedition in Iceland in July? At my first YLD conference in Melbourne in 2013, I listened to the Young Leaders from Canada and Barbados who spoke about their amazing journey up Kilimanjaro with the World Diabetes Tour (their website is not currently operating). At my second YLD training in Vancouver, I expressed my interest in joining the next World Diabetes Tour so that I could advocate against the strong stigma of diabetes still present in South Africa. I applied and was fortunately chosen to go along. Had you ever done outdoor challenges like this before? I had only ever done one-day hikes, nothing close to this magnitude. What was the toughest part of the whole experience? The biggest challenge for me was at the end of the first day when we crossed a glacial river. Everyone stripped down to their underwear to cross through the 2°C (35°F) water. It was bitterly, numbingly cold. I imagined that this is what having diabetic neuropathy must feel like: tear-jerking pain. Thankfully, the refuge where we stayed the night was only 200m (220 yards) from the river. The most rewarding part was reaching the summit on Day 5. It was quite emotional; we had all worked so hard to achieve this goal, and we finally made it. Did any big diabetes moments stick out for you over the course of the trip? A great tip I learned was to put on a temporary basal rate of 0% on my insulin pump for 1 hour to ward off a predicted low without having to eat, while also avoiding a rebound high blood sugar level. [I found that it worked] better than suspending my pump and forgetting to turn it back on later. Would you participate in another adventure challenge? What were a few takeaways you brought back with you that you can apply to your diabetes advocacy work in South Africa? I hope that my accomplishment helps to shatter the stigma of diabetes in South Africa. No one chooses diabetes. Negative perceptions are perpetuated and the public needs to understand that type 1 diabetes cannot be prevented/ People must stop blaming those living with diabetes for their illness. A very common occurrence is that children with type 1 diabetes often skip their insulin injections at school for fear of being bullied. I hope that my participation in the Iceland trek inspires children and young adults living with diabetes to go after and accomplish their dreams so that they, too, can show others that this condition is not limiting. Do you have any advice for other people with diabetes who are hoping to accomplish a similar feat? Don’t underestimate your ability to accomplish what you set your mind to. I was very anxious before the challenge in my ability to complete such a daunting task, but the comradery among the group really helped with the demands of the trek since we were all united by a common goal. It really does help that you surround yourself with people who have similar aspirations who can motivate you to push your limits. Looking back now, it was more of a mental challenge to convince myself to continue walking, to achieve what I had set out to do, to prove to the world that diabetes does not stop anyone in achieving their dreams. What’s been going on since you got home? Do you have any adventures planned for the upcoming year? After the challenge, I felt inspired to be more active in my regular day-to-day life. I joined a fantastic gym close to my house and regularly go to the spinning classes. Since getting back from Iceland, I hiked the Kaapschehoop 4-day hike with my friends, traveling through pine tree plantations and rivers in South Africa. In 2017, I also plan to take part in my first ever half triathlon near the end of the year. My training is already underway. What are some projects you’re currently working on in the diabetes world? I am currently developing the first diabetes registry in South Africa. Data on diabetes prevalence, incidence and other statistics is incredibly limited in Africa, and I hope to use this information to advocate for better health resource allocation to patients with diabetes from the National Department of Health. Katie is one of the leading diabetes advocates. She has had Type 1 diabetes since 2003. She writes for American Association of Diabetes Educators blog and numerous other diabetes blogs. I am Delphine, the founder of World Diabetes Tour.